Whenever we think of concussion, the first and often only thing we consider is the management of neurological symptoms (dizziness, vision changes, sensation changes, headaches). Management of the musculoskeletal side of concussion is most often overlooked. Winter sport is upon us, and this means concussion rates will soon rise considerably, so let’s take a look at what concussion is and how we can manage the other symptoms of concussion and prevent them from occurring again. 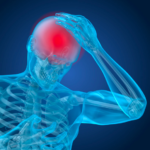 Put simply, concussion is a brain injury involving temporary loss of brain function caused by a blow to the head or violent shaking of the head. The brain is made of soft tissue, encased in a protective skull. When you sustain an injury or blow to the head, the impact itself can jolt your brain inside your skull. This can cause bruising, damage to the nerves and damage to the blood vessels. As a result, your brain may (temporarily) no longer function normally. It can leave the individual with serious cognitive, physical and emotional symptoms. Your vision may be altered, you may have changes in your balance, and you may fall unconscious. If left untreated, especially if repeated concussion’s have occurred, it can have some major long-term detrimental effects. So it is important if you suffer from a blow to the head with or without loss of consciousness, that you get yourself checked by a medical professional, particularly to get clearance before returning to sport. Now for the juicy new research…….. What can Physiotherapists do? In short, kid’s with skinny, weak necks and big heads have an increased risk of concussion. Along with this, it was also found that for every one pound increase in overall neck muscle strength, the odds of concussion decreased by 5%. Furthermore, another study from the AFL concluded that only when managed correctly (ie including a neck rehabilitation program), acute concussion appears to resolve promptly and does not adversely affect subsequent performance or increase the rate of further concussion. So in accordance with this, we have developed a post concussion neck rehabilitation assessment and strengthening program which includes proprioceptive, strength and control retraining. The goal of this being to increase the strength and size of the neck muscles in order to decrease the risk of a subsequent concussion in this high risk population.